In Cushing's disease morning serum cortisol greater than 690 nmol/l, plasma ACTH greater than 79 pg/ml and ACTH secreting tumor detection on MRI pituitary fossa. Magnetic resonance imaging demonstrated a large mass that expanded the pituitary fossa with symmetrical lateral extension, producing bilateral cavernous sinus compression, and suprasellar extension. 5cm mass in the pituitary fossa with mild effacement of the chiasm, most consistent with a pituitary adenoma. DISCUSSION: TS is a slight osseous protuberance between chiasmatic sulcus and anterosuperior limit of pituitary fossa. There was also evidence of erosion along the floor of the anterior cranial fossa, including the pituitary fossa along with extradural extension. 1) In this way, the canal connects the pituitary fossa to the nasopharynx cavity. 5-cm mass within the pituitary fossa that diffusely enhanced following administration of gadolinium contrast material (Figure 1, arrow). 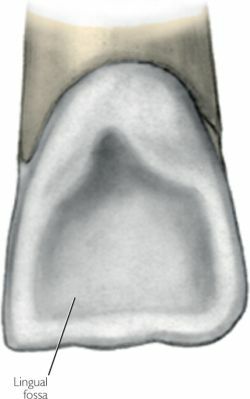 S The center of the pituitary fossa of the sphenoid bone (figures 3, 4).